When Alex Morris-Hao's eldest child Amber started grade school, she felt a tinge of melancholy. Amber was spending the whole day in school, and Alex felt somewhat cheated. She would, after all, eventually be missing out on a lot of her daughter's growing up moments. Chancing upon the concept of homeschooling, Alex's interest was piqued. She started reading about it, and soon enough, she and her husband Bion decided to try it. For many Filipino families, homeschooling has become an attractive alternative to educating their children as compared to the traditional education system. 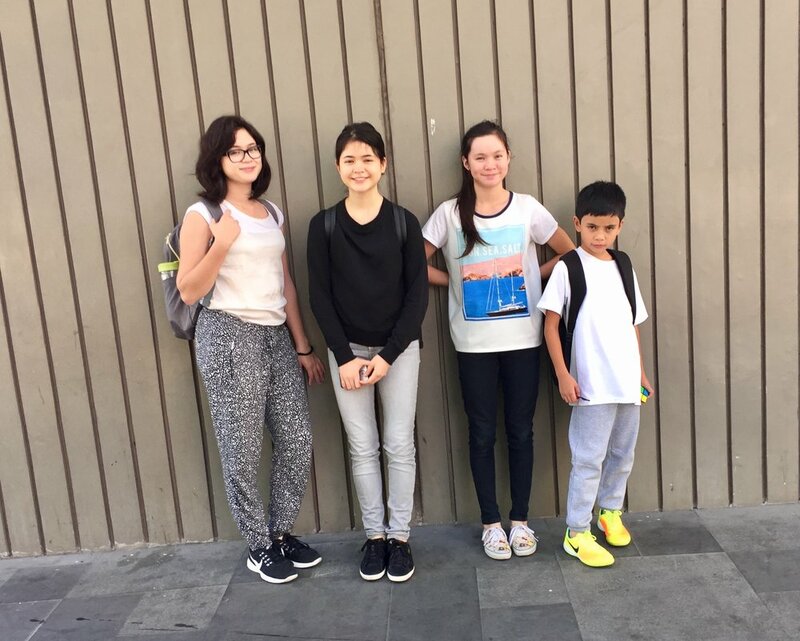 At the recently held Philippine Homeschool Conference where Alex shared her experience, hundreds of families flocked to the SMX Convention Center to find out about homeschooling and how real families are actually doing it. Wanting to spend more time with their children, the Haos started homeschooling them in 2006. Apart from reading books and articles online, Alex and her husband also consulted with their children's school teachers. Alex did a bit of decluttering around the house, too. “It most of all, felt right. I also wrote a mission and vision statement and what I want from the experience: for my husband, myself, our children,” she says. When they started homeschooling, the couple only had three children. Today, they have four, all of whom are homeschooled. Amber, who is 19 years old, is now studying at the Ateneo de Manila University. The rest of the brood – Ashley, 16, Allegra, 12, Nicholas, 8 – are presently being schooled at home. A peek into the Haos' everyday schedule reveals how busy things can get. In the mornings, after breakfast, the children do household chores and schoolwork, usually Math exercises. Lunches are spent together as a family before each one pursues his own interest. For Ashley, it's the violin, for Allegra, swimming, and Nicholas, soccer. On certain days, a big chunk of the afternoon is devoted to the study of Philippine History. Alex usually picks a book which interests the children, and they'll read it together. If there is another subject or idea that strikes the fancy of the children, Alex would get the necessary materials and they will learn together. Despite the absence of a routine, the Haos' emphasis on learning and independence has given the kids the courage and motivation to pursue a variety of projects and interests. They have not only made up elaborate games and taken care of a number of pets, they have also chased after their dreams. Amber was a scholar at a dance school and was able to pass the Ateneo College Entrance Test, one of the most difficult college admission exams in the country. Ashley was accepted to a violin camp abroad and has had a solo violin concert. Allegra dreams of one day representing the Philippines in the Olympics. Of course, the family sometimes encounters issues. “Most challenges can be worked out so far and some turn out to be blessings. Slow and steady and don’t be angry, in your heart and in your voice, usually gets us through challenging situations,” says Alex. But those challenges are nothing compared to the joys which homeschooling brings. As for parents who want to homeschool their children, Alex offers these precious words of wisdom.